Dark Shadows is the type of film for which that overused and clunkingly clichéd phrase ‘darkly comic’ was first invented. It aspires to be very ‘darkly comic’. 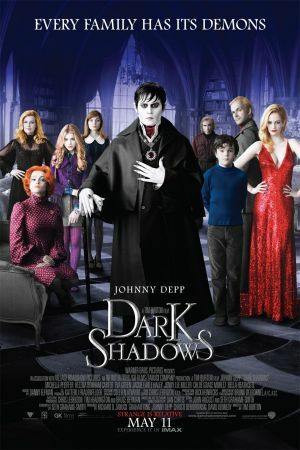 In one scene our protagonist (a vampire named Barnabus Collins, played by Johnny Depp) rips apart a group of innocent builders.